If you’ve been in an elementary school education setting for any amount of time you’ve likely heard of The Zones of Regulation®. This evidence based program designed by Leah Kuypers is an excellent resource for teaching children emotional regulation. You can learn more about The Zones here and purchase a copy on Amazon here! Here is a breakdown of The Zones as described on The Zones of Regulation® website. The Red Zone is used to describe extremely heightened states of alertness and intense emotions. A person may be elated or experiencing anger, rage, explosive behavior, devastation, or terror when in the Red Zone. The Yellow Zone is also used to describe a heightened state of alertness and elevated emotions, however one has more control when they are in the Yellow Zone. A person may be experiencing stress, frustration, anxiety, excitement, silliness, the wiggles, or nervousness when in the Yellow Zone. The Green Zone is used to describe a calm state of alertness. A person may be described as happy, focused, content, or ready to learn when in the Green Zone. This is the zone where optimal learning occurs. The Blue Zone is used to describe low states of alertness and down feelings such as when one feels sad, tired, sick, or bored. What Does it Look Like in a School Setting? Simplifying this concept into four easy to learn colors is a great way to start a school wide approach to self-regulation. A common language gets everyone on board! At my school, teachers would introduce the topic, I would dive deeper during counseling sessions, and it would be reinforced by the principal and recess staff. If you send home some information you can maybe even get parents involved! For example, a student would already know what the Zones colors signify from his teacher’s introduction. So when he was angry at recess and reacted by hitting another child, the recess duty-person could ask him what Zone he was in. He would answer “red”. Then when talking to the principal about the consequences of his actions, the principal would remind him that it is okay to feel angry or “red” but that it is not okay to hurt others. Later he would meet with you, the school counselor, to review coping strategies to use next time he is in the “red zone”. This is a restorative approach that holds the student accountable while supporting him. I use The Zones of Regulation® primarily in small group and individual settings, however I think teaching classroom guidance lessons is a great way to send the message school wide if the teachers at your school aren’t teaching it already. Using candy to discuss self-regulation in a small group is a fun way to get students interested! Use M&Ms or Skittles and keep only the red, blue, green, and yellow ones. Pour out a few pieces in front of each student. For the first round, students take turns sharing a time they felt their candy colors. For example, if they have 2 green pieces and one red piece they will share two times they felt focused and ready to learn, and one time they felt angry or upset. For the second round, pour out 3 more pieces. This time students share how they reacted per each color Zone and identify a positive coping strategy. When finished, enjoy the treats! Alternate Activity: If you do not want to use candy, you could use Legos, fidget balls, etc. 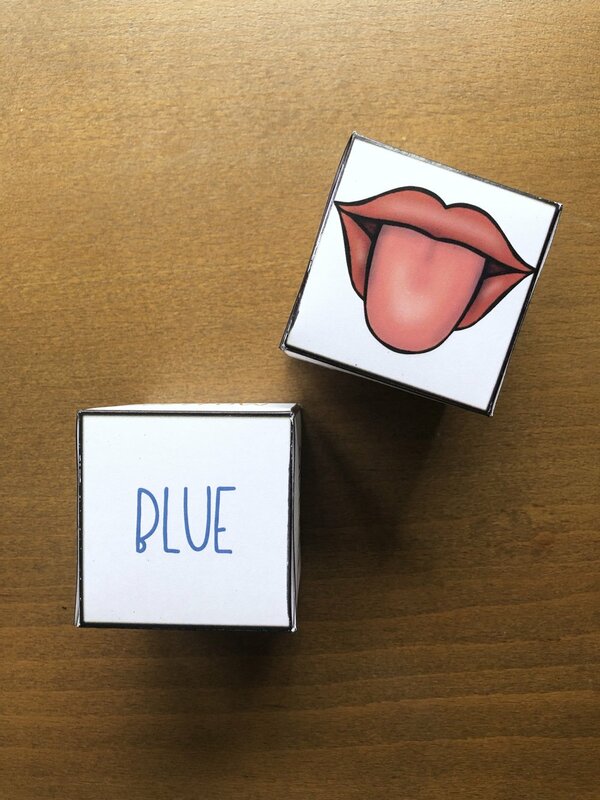 A similar activity to get students talking is with a die. You can print out a paper die and color the sides in different colors, or use a traditional black and white die but have the numbers correspond to a color / task. For example, if a student rolls a 6, they talk about a time they were in the Blue Zone and if a student rolls a 2 they share a positive coping strategy to use when in the Red Zone. As I began working with my students on the Zones, I realized how much they were struggling with the concept of self-regulation in general, so I created the following resources. These can be used independently or in addition to The Zones of Regulation®. What Color is your Chameleon? This self-regulation scoot game is a good option if working with an entire class. It would be a great addition to a guidance lesson. 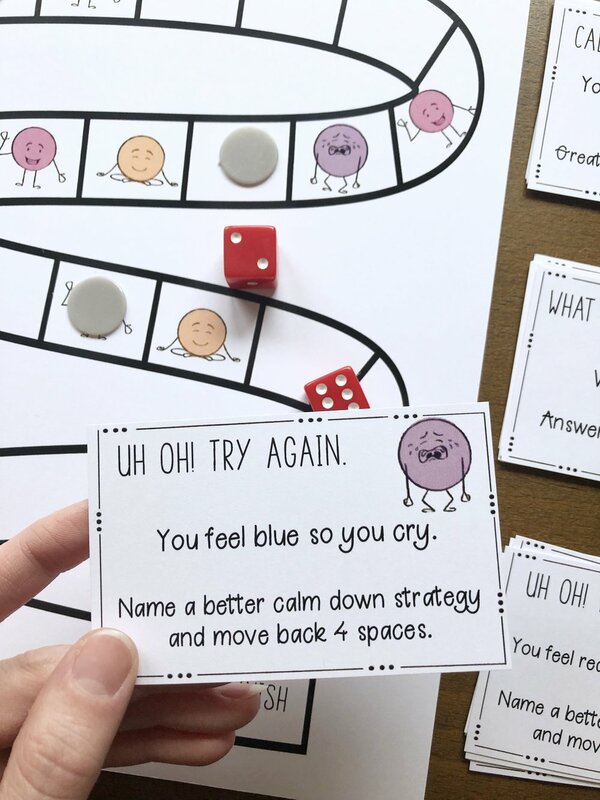 This self-regulation board game is fun to play with an individual student or small group. This journal is so fun! Students will learn self-regulation strategies on how to regulate their emotions. It’s also great to use for data collection and progress monitoring! The daily, weekly, and monthly increments provide a useful tool to spot trends and problem areas with students who might otherwise be overlooked. It would be perfect for an individual counseling student to work on over a few sessions or for a self-regulation small group. I’ve saved the best for last! This group has so many activities. It covers 8 weeks and is ASCA aligned. 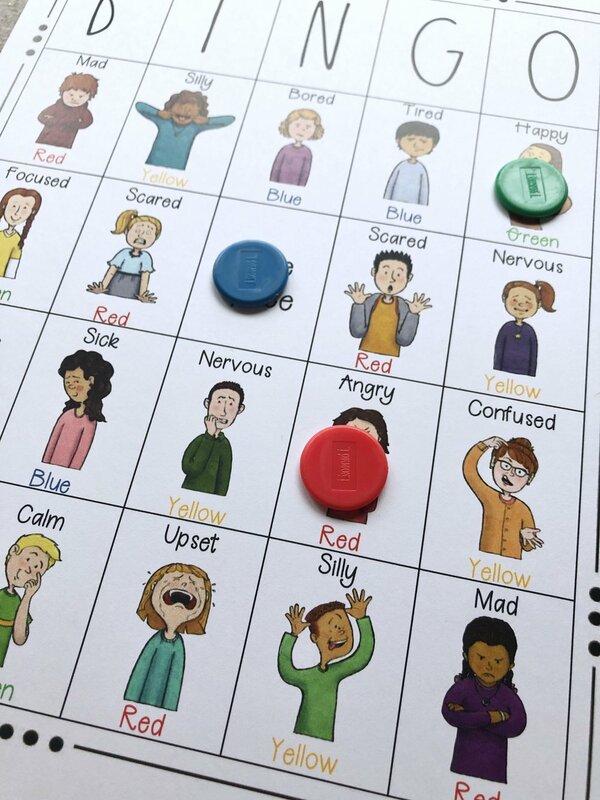 Students will learn which feelings and actions are associated with each color and will learn strategies on how to regulate their emotions. They will learn how to identify the size of their problems, appropriate reactions, and how to solve them. Students will also identify their support system, their triggers, and the connection between their emotions and the physical body! Download a free sample of the puzzles here. 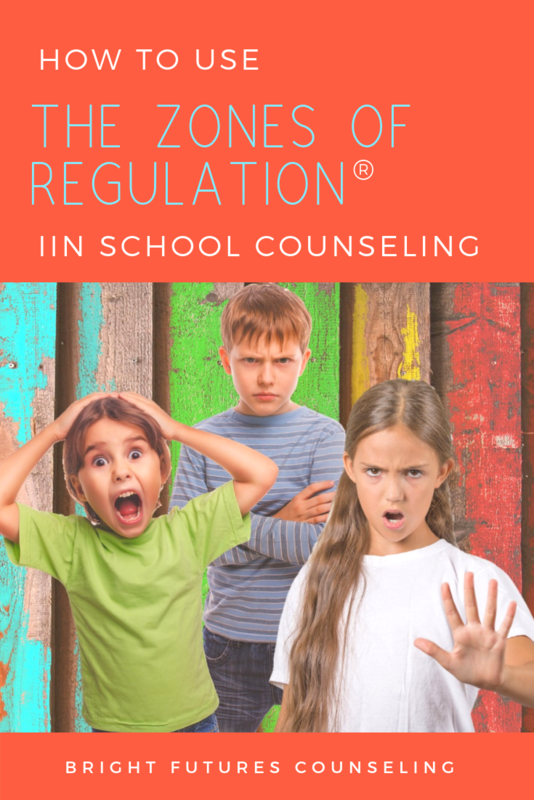 The Zones of Regulation® is a wonderful tool to use in your school counseling program. Teaching it early and often is key for a successful school-wide implementation. Do you use The Zones with your students? Leave a comment and share! Hi! I'm Rachel, the counselor and curriculum designer behind Bright Futures Counseling!